The Trigonale Festival of Early Music is, by its own admission, a relative newcomer to the early music scene, having only been formed in 2003. Still, like other festivals of its kind, it seeks to fill a niche by exposing the people in the southern-most state in Austria to live performances of early music. This album features live performances from the 2007 festival. The quality of these performances varies greatly between the different ensembles. 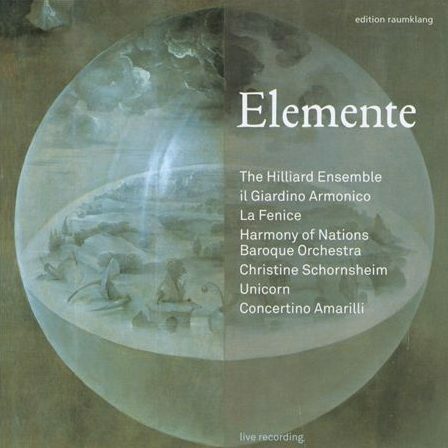 Well-established groups like the Hilliard Ensemble deliver what listeners would expect: stunning displays of virtuosic vocal control that could captivate listeners for hours. Other groups give performances of varying quality depending on their instrumentation. TheConcertine Amarilli, for example, performs a Mancini work for soprano, oboe, and basso continuo that is quite refined, technically sharp, and musically appealing. This, however, is followed by a Platti Sonata for oboe, bassoon, and basso continuo that is so miserably out of tune and filled with missed notes that listening to the entire piece is laborious. The rest of the album is filled with the same dichotomy. Performances are either beautifully executed or painfully butchered, with little between the two extremes. With the proliferation of early music recordings available to listeners, there’s little reason to choose this one over one that would have a more consistent, uniformly superior set of performances.